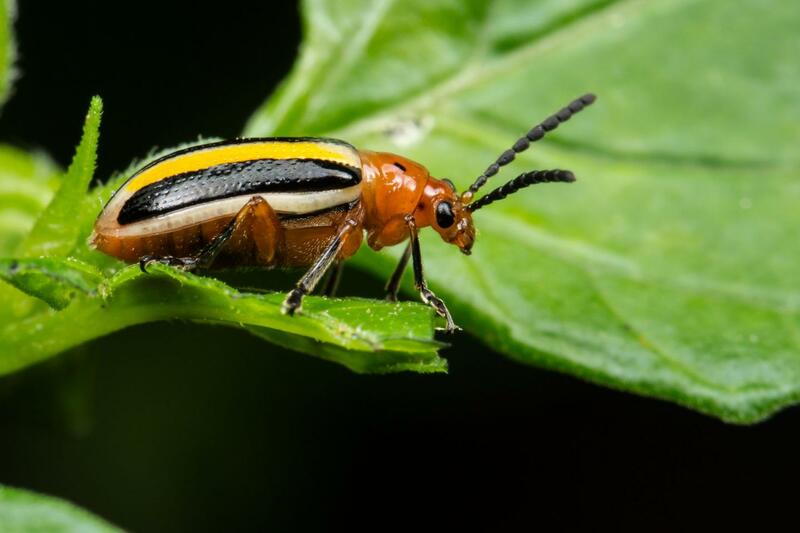 EAST LANSING, Mich. — A new study has unveiled why a field with a variety of plants seems to attract fewer plant-eating insects than farm land with just one type of crop. Scientists and farmers have puzzled over this pattern that makes protecting crops from pests a challenge. Research published in the current issue of Nature and led by William Wetzel, a new Michigan State University entomologist and the study's lead author, is shedding light on this interaction. Plants suppress their insect enemies by being variable, not just by being low quality on average as is typically thought. "Farm fields can create monocultures where pests may find the perfect nutrition to be healthy and reproduce," said Wetzel, who conducted the research during his doctoral work at the University of California, Davis. "Planting fields with higher plant nutrient variability could contribute to sustainable pest control." Crop varieties could be bred with variable nutrient levels in the parts eaten by insects, for example the leaves or roots, while the parts ate by consumers could be consistent. Or farmers could plant new mixtures of crop varieties or genotypes that differ in nutrient levels. With Wetzel's move to MSU, he intends to take this research to the next level. His program is using modern genetic resources to develop a model system for manipulating plant trait diversity in field populations and measuring the effects on insect populations and plant damage. "The community of stellar agricultural and ecological scientists here and core facilities for chemistry, along with greenhouses and field research centers, is helping me test new hypotheses for how plant diversity influences insect ecology at large scales and in the field where it matters," said Wetzel, who's with the College of Agriculture and Natural Resources. "I'm excited about bringing the work to MSU because of the potential to collaborate with an exciting array of molecular biologists, physiologists and landscape ecologists, as well as Extension specialists who bring new knowledge where it is most needed."